Alaska advances to 2016 PBA Philippine Cup Finals after 4-1 series win against Globalport - Balita Boss! The Alaska Aces are back in the Finals after beating the Globalport Batang Pier 118-89, in Game 5 of the best-of-7 semifinals of the 2016 Philippine Basketball Association (PBA) Philippine Cup. 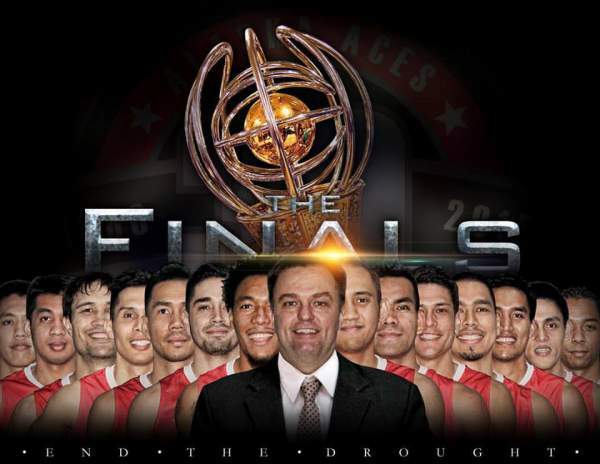 The series ended 4-1 in favor of the Aces, which secured their third finals appearance in the last four conferences and 29th in all in franchise history. The Alaska team, the runner-up in the last Philippine Cup, will face either reigning champion San Miguel Beermen or the Rain or Shine Elasto Painters, which is currently tied at 2-2 (as of January 12). Chris Exciminiano led 6 scorers in double digits for Alaska with 19 points, on eight-of-11 field goals, to go with 5 rebounds and two steals to win Player of the Game honors. Chris Banchero finished with 18 points and 5 rebounds. Calvin Abueva and Sonny Thoss contributed 14 markers. Vic Manuel and Cyrus Baguio had 10 points apiece, while Eric Menk and RJ Jazul scored nine points, respectively, for the Aces. Jay Washington led GlobalPort with game-high 26 points and seven rebounds, while Terrence Romeo added 20 markers on 5-of-12 shooting from the field.